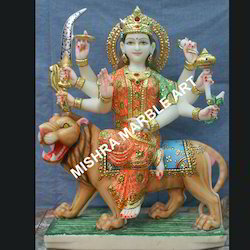 Offering you a complete choice of products which include marble vaishnav devi durga mata statue, goddess durga vaishno devi ji statue, maa durga ambaa mata vaishno devi marble statue, vaishno devi, durga mata, marble maa durga statue and marble durga ji statue. 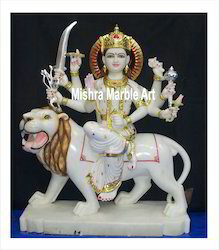 Intricately carved in pure white marble stones our Vaishnav Devi Durga Mata Statue are demanded by clients across the globe. Apart from the creative usage of pastel colors our craftsmen undertake minute carvings with extreme precision. This is the reason that makes these statues shine and bear a beautiful appearance. 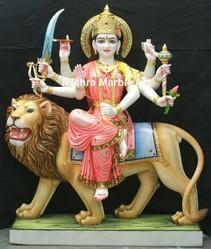 We offer an exclusive range of durga mata moorti. 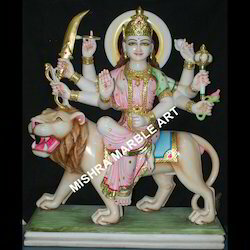 Depicting goddess durga seated on Goddess Durga Ji Statue are demanded by our clients not only in the domestic market but in the international arena as well. The facial expression of the idol bears a pleasant smile and brilliant shine. Soft combination of pastels colors on pure white marble stone enhances the beauty of the structure. 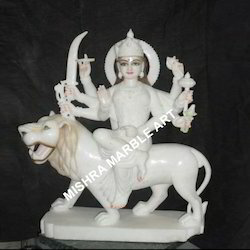 With the help of our experts, we offer an extensive range of Vaishano devi,Durga Ji In White Marble Statue. 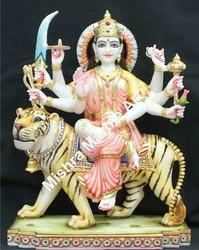 these are fine carved with beautiful face expression This statue is completely white and durga ji is sitting on tiger. Furthermore, we meet the bulk demand of our clients within a committed time frame. 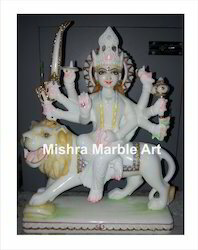 Our clients can avail creatively designed white marble Statue Durga Ji. These are designed on white marble stones using soft pastel colors. The attractive features of the idols are further enhanced by their lustrous appearance. We offer our range at reasonable price rates. 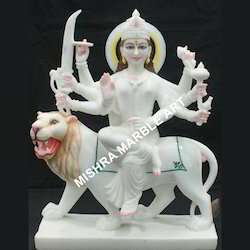 We offer an exclusive range of durga mata moorti in pure white makarana marble. Looking for Vaishno Devi Ji Statue ?